A few months ago my PCP observed a lump in my throat during his exam, and sent me for tests. Dr. Bridget Brady was the one who had to give me the dreaded diagnosis of cancer. My wife, who attended the visit with me, burst into tears and immediately Dr. Brady stopped everything and hugged my wife and her words were so loving and supportive. To this day I am almost speechless about all of the superlative care that I have received from Dr. Brady and Dr. Sabra. What started out as a life-shaking event became a very manageable condition. All I can say is that I have benefited greatly from a very high level of professional excellence and genuine concern and compassion in my care, and that has made all of the difference. My surgery went flawlessly and every step of the way I was made apprised of what was happening and what to expect. I wholeheartedly and gratefully recommend Austin Thyroid Surgeons! I highly recommend Dr. Brady for parathyroid surgery. She has a kind bedside manner and takes time to explain things. I feel much better overall after having the surgery with my energy levels returning. For those needing surgery, don’t be scared – the surgery is so worth the positive results. I can’t remember being more pleased with a referral. Dr. Brady is highly skilled with a delightful combination of kindness! I am extremely pleased that I chose Dr. Brady to perform my parathyroidectomy. My doctor had recommended a different surgeon, but I decided to do my own research. I should mention that I had a previous surgery for this same condition 16 years ago, with a surgeon who is now one of the top parathyroid surgeons in the country, but is no longer in Austin. My initial meeting with Dr. Brady gave me a chance to evaluate her in the context of my previous experience. Her decision to perform an initial ultrasound scan (which revealed some minor thyroid nodules), her attention to detail, her answers to my questions, and her warm and caring demeanor made the choice very easy. The surgery itself went very well. My scar is just under one inch long and healing nicely. I did suffer from an uncommon complication about 36 hours following surgery, which consisted of muscle/bone pain, apparently due to the sudden change in blood calcium level. Dr. Brady responded to my phone call quickly, and temporarily doubled my calcium supplements, which effectively addressed the problem. I strongly and enthusiastically recommend Dr. Brady to anybody requiring this type of surgery! I wish I could give an even higher rating to Drs Brady and Sabra. What a wonderful team! From my very first visit, to my thyroid surgery and follow ups, they have been so thorough and caring. Very knowledgable, pleasant and personable. They are the BEST and I recommend them to anyone who requires this specialized surgery! Thank you both for being such wonderful doctors! We at Austin Parathyroid Surgeons are so proud to care for our out of town patients and their families, thank you Brenda and Eli for coming all the way from Indianapolis to see us for parathyroid surgery! I absolutely love Dr. Brady and Dr. Sabra! They are a phenomenal and really genuinely care. I have extreme (EXTREME) anxiety and they were nothing but caring, patient, knowledgeable and informative. On top of that, they went above and beyond to make sure I had the BEST care. AND you cannot even see my scar! I’ve had surgeries before and the scars to show them, with the exception of this one. If I could, I would have them as my “every” doctor too. 😀 This medical office is the only one that I’ve experienced in life where I have only had pleasant interactions with the entire staff. I could go on and on… obviously. I was able to trust them with my life. My family and I are happy that I did! Thank you Dr. Brady and Dr. Sabra for leading me through a very traumatic surgery with such a wonderful result. I am more than happy to relay my experience during the pre-op, surgery, and post-op. The after surgery personal visit with my wife and the telephone call the day after surgery showed your real interest in my well being. Thank you again for your kindness and expertise in administering my care. Dr. Brady is truly a Godsend! When I was diagnosed with thyroid cancer, it came as a shock. But Dr. Brady was by my side to swiftly provided her expert advice and treatment options. It was immediately apparent that I was not merely another patient to her; but rather, Dr. Brady took a genuine interest in assisting me in my battle with thyroid cancer. She provided detailed and comprehensive advice and used interactive applications and sonograms to educate me on all things thyroid. My surgery was quick and relatively painless (more discomfort from the soreness in my neck, than pain), and I was functioning normally about two days post operation. My scar is minimal, and I’m confident that it will be hardly noticeable in a few years. Overall, I’m extremely happy with Dr. Brady and all her staff. Dr. Sabra and Dr. Brady were great, explained the procedure and were very available if I had questions or concerns. Surgery went well and I am healing nicely. Incision has almost disappeared and it has only been a month. Would definitely recommend them! I had been going through pain and misery for two years and had seen two specialists! The first one didn’t want to follow up with me for a year, never mind the misery I was in, and the other put me on 18 Ibuprofen a day, reduced to 12 a day after a month after my complaints about my insides burning. I had a cyst on my nodule to begin with which grew to almost 2″ and had 4 more later on. They were almost choking me, couldn’t swallow, couldn’t take deep breaths without choking and coughing non stop, sleeping sitting up. I was in despair and then I was referred to Dr Sabra. Dr Sabra was very empathetic and explained the scan and blood test to me in layman’s terms so I understood exactly what was going on. He also recommended surgery which I underwent 3 weeks ago. Both Dr Sabra and Dr Brady performed the surgery and both of them could not have been more caring and compassionate! Not just follow up phone calls to make sure I was doing better after the surgery but very reassuring conversations which eased my anxiety. I felt the compassion and caring from the minute I met Dr Sabra, he genuinely cared about my situation and I felt like I was in good hands immediately. I actually wept with relief in his office! I am feeling so much better now. Able to breathe normally without choking all the time, able to sleep normally! Highly recommend Dr Sabra and also Dr Brady, the BEST TEAM EVER! The office staff is also very warm, patient and caring. Great atmosphere and one feels at ease and cared about. You are a person and not a number from the time you step in and until you finish your visit with Dr Sabra and Dr Brady. It has been a great experience and I thank my guardian angels for bringing me to Dr Sabra and Dr Brady! For the past year, I have suffered from severe bladder infections! My doctor was very concerned that, in order to cure these, he had to give me extremely powerful antibiotics. He sent me to a urologist first to eliminate the possibility of kidney stones. Tests revealed none. Following that, my doctor asked me to take a test on my thyroid and parathyroid since recent blood tests revealed an elevated calcium level in my blood! I was given a drink and then asked to be perfectly still as I entered a tube for one hour! (I have never been still for an hour in my life!!!!) This test showed a tumor on my right parathyroid. 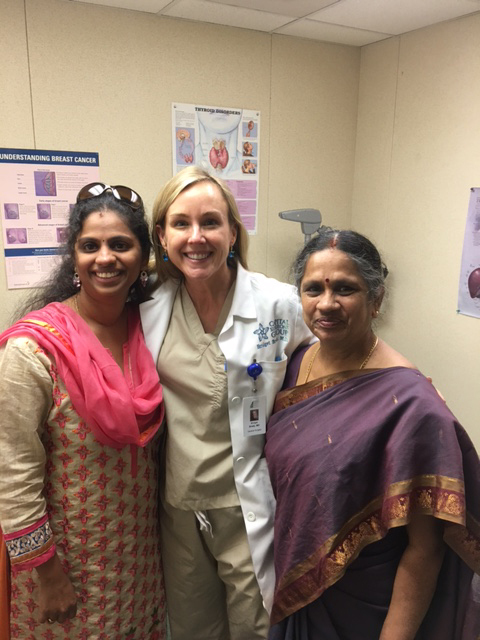 Dr. Brady was my next visit and she suggested that this tumor be removed and, with this, my calcium levels would lower because the hyperparathyroid would be able to direct the calcium to parts of my body that needed it. This high calcium level in my blood was the root cause of my bladder infections! Dr. Brady performed a simple surgery resulting in a scar about the size of a dime, sent me home and assured me that the calcium would now go to my bones and perhaps reverse my osteopenia!!!!! What fabulous news! Within a week, I felt my energy level return and I was no longer sluggish! 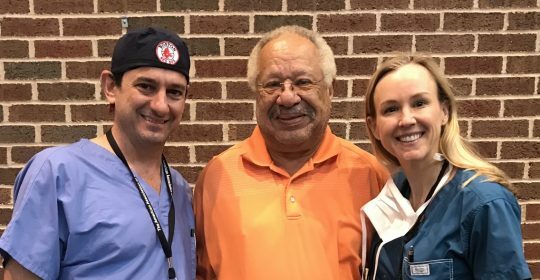 What a wonderful thing Dr. Brady and her partner Dr. Sabra are doing in our city! The two of them are the only specialists in Austin for thyroid and parathyroid work. Bridget Brady could have easily been a movie star, but instead became a wonderful dedicated surgeon to ensure our good health for many years!!!! Thank you, Doctor Brady!!!! I had a parathyroid problem and the surgeon I had consulted wanted to rush me to surgery. He told me that it was possible that all four glands had to be removed, although ultrasounds and other tests only showed one gland only a few millimeters long. He said that it was going to be a multi-hours surgery, and that I would have a scar two inches long across my neck. After discussing with my family doctor, he sent me to consult with Dr Bridget Brady who did an outstanding job at considering what were the best options for me. She did not push for immediate surgery at all, opting for alternative approaches. Furthermore, if in the future surgery would become necessary, the scar would only be the size of a dime. I am absolutely impressed by Dr. Brady professionalism, by the fact that she does the best for me, not for her surgery business like other specialists. After my latest visit, she followed-up personally by sending me an email. I mean, this was Dr. Brady writing and sending the email, not her assistant or admin. I had never experienced that professionalism with any other Doctor before. I would definitely recommend Dr. Brady as the absolute go to Doctor for anyone who has parathyroid problems. Because we are from Mexico with a 10 hours drive to Austin, after first exam. Dr.Bridget Brady recommended a very large nodule/goiter on my thyroid to be removed, she and the staff at the clinic did everything to program the surgery a day after, we really feel the care and concern of Dr. Brady and Dr. Sabra to help us in have the procedure in the hospital closest to our site, and to return to Mexico asap. The surgery could not be better, the thyroid was removed with out any complication ,also I was able to leave the hospital the same day, Seton hospital at Kyle is one of a kind. My husband and me are lucky to find Dr.Brady and Dr. Sabra to take care of my thyroid problem, we are very much grateful with the doctors and all the Staff at the Clinic! For the people who need any kind of neck or thyroid surgery I highly recommend Austin Thyroid Surgeons!!! Dr. Brady has been taking care of my thyroid issues since 2014. I LOVE how patient she has been with me through this process and not jumping straight to surgery and removing the thyroid as a solution. When my thyroid biopsy came back suspicious of cancer several months ago, I knew I had to have a partial thyroid removal surgery. The radiologist who performed the biopsy recommended Dr. Brady and before I committed to going to see her, I did my research. I went to her website and it was professionally done. It tells you about her experience and reputation. It educates you on what kind of questions to ask and what are the criteria to consider to choose your thyroid surgeon. It’s EXTREMELY informative. You can imagine how anxious I was having a nodule suspicious of cancer and how many questions I had in mind. The Q&A section had already answered 80% of my questions even before I went to see her and calmed me down a lot knowing all those answers. Then I looked at reviews of Dr. Brady and Dr. Sabra everywhere, their website, google reviews, yelp reviews… They’ve got full 5 stars! So they look really professional and perfect on paper. The pre-consultation appointment I had with Dr. Brady confirmed the impression I had from the research. She’s warm, caring, patient, soothing, a great communicator and so likable! Her bedside matter is the best I’ve ever experienced. On the day of the surgery, Dr. Brady greeted me before the procedure and gave me a big hug, which was so soothing and touching. The surgery went smoothly and she called me the second morning which was a Saturday to check on me. She gave her cell number to make it easier for me to communicate with her in case I need to reach her. And then a week later she called me in person to tell me the result of the pathology which I was so nervous about. She started the conversation by telling me that she’s got good news for me first. Just think how caring and considerate that is, coming from a well-known and busy surgeon! Last but not the least, the incision was so well done that if you don’t about the surgery, you wouldn’t have noticed. What all other people say about Dr. Brady in their reviews are TRUE! I’ve read most of them before my surgery and now I have experienced it. 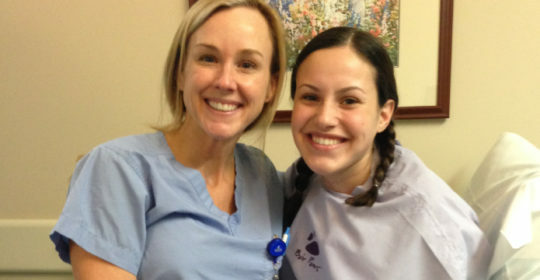 I can’t wait now to see Dr. Brady at my 3 month follow up visit because she’s such a great doctor and she’s so likable! I hope this review helps you out there looking for a thyroid surgeon who’s going to take great care of you. Dr. Brady, her staff, and the Surgicare center she uses are awesome. She removed a large tumor from my parathyroid gland and all was a success. She explains everything and takes the time you need to answer all questions. Her follow-up is also thoughtful and shows she cares. Therefore, I highly recommend her. I went to Dr. Brady on the recommendation of my endocrinologist. He said that she was known as a “no scar” surgeon and that she was top notch. WOW – he was right about all of it! Dr. Brady was so professional, so experienced, so knowledgeable – she was AMAZING! She and Dr Sabra made my surgery “fun” if a surgery could be fun. They took the worries away, they listened to me and re-assured me, answered all of my questions – and my scar (if there is one) is very minimal. I just had the surgery 3 weeks ago, so it’s too early to tell, but from the people that I’ve met and discovered that they too had thyroid surgery, my scar is the smallest of all! I know that’s a small thing, but to have that on top of their professionalism, knowledge, excellent bedside manner, experience and caring, it’s just icing on the cake. Had a total thyroid removal two weeks ago by Dr. Brady.I was terrified to say the least of the idea of surgery.I’m happy to say that everything went smoothly and recovery was easy.Thank you to the hospital, St. David’s Surgical Center, nice facility, the staff, nurses and admin. and Dr. Brady and Dr. Sabra who put me at ease.I feel great. Dr. Brady called me 3 times during recovery to see how I was doing and gave me my results.I would highly recommend her and her associate, Dr. Sabra. Feeling Great! My primary care physician recommended three specialists that I might see for one problem and only one – Dr. Brady – for a possible thyroid surgery. Dr. Brady removed one of my parathyroid glands in out-patient surgery. I was told it should take between 10 and 14 days for me to be back to normal. I took painkillers and iced the wound on the day of the surgery, but experienced no pain or swelling thereafter. I showered, placed a bandana around my neck to conceal the incision, and joined friends for lunch the following day. Results will surely vary but things turned out great for this 76 year old male. Dr. Brady has it all- she is extremely talented, hard working, and she is passionate about what she does and the patients she treats. On top of that, she is genuine and knows how to translate the medical jargon into terms you can understand. It’s so rare to find this combination regardless of career but when these qualities exist in tandem, the impact is tremendous as so many thyroid patients have validated. You are literally in great hands with Dr. Brady! Dr. Brady is a God send! I had been sick for 2 years. My symptoms were extreme fatigue, hair loss, weight gain, aching, neck pain, dry eyes, and dry hair. My OBGYN originally drew up some blood and I had hyperthyroidism. He sent me to an endocrinologist who told me I didn’t need any medicine and I was fine. Over a year and a half of blood work and no treatment I went back to my OBGYN desperate for help. They drew more blood then he said it was hypothyroidism. My OBGYN started me on medicine but my endocrinologist said I didn’t need to be on medicine. I was at the end of the road. So sick, so tired of being tired, so done with blood work and medications that were not working I literally prayed for wisdom and a doctor who could help me. My OBGYN suggested I get another ultrasound on a nodule found at the beginning of treatment that was very small. The nurse called me and suggested I follow up with Dr. Brady on the findings of the ultrasound. Dr. Brady immediately made me feel like she understood, she listened, she was attentive, she was caring, she was professional. She told me the nodule had doubled in size and had suspicious spots. She also discussed how the medications were not making a difference with my thyroid levels. She gave me two options. 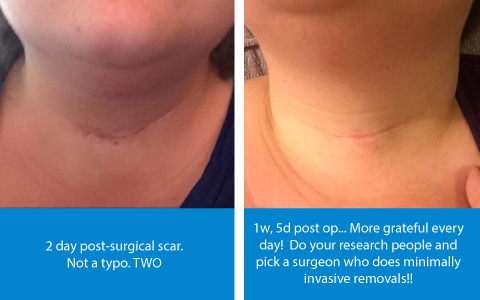 One for a biopsy and the other to have a thyroidectomy. I was just done with the blood work, the run around, my quality of life…so I decided to have the thyroidectomy. Dr. Brady was amazing! She was thorough and made me feel so comfortable before surgery. The actual surgery itself could not have gone better! Dr. Brady had surgery the next day in Kyle but she took the time and called me at the hospital to tell me the pathology report came back that it was cancer. Dr. Brady literally saved my life!! I’m only 4 days post op writing this and my healing and post surgery have been better than expected. I can never thank Dr. Brady enough!!!!! I so look forward to having my quality of life back!! Let me tell ya. You can look the world over and you will never find a better surgeon. She operated on the love of my life. And we were not sure if it was cancer or not. Dr Brady told us what to expect and kept us informed all the way. I also have had the pleasure of scrubbing with her, and she is impressive. God truly works threw her hands. So I’m telling you if you need help Dr Brady is the one. Dr Brady was such a delight. From the first office visit with her politeness and thoroughness to her calling me to discuss the need for a full thyroidectomy because of cancer. She made it as seamless and as comforting as possible and answered all the questions i had. The surgery went great and she was easily available for the questions i had post op. I am actually referring my mom to see her soon. Thanks Dr Brady and your whole team for everything you have done for me! I just wanted to share with you how pleased I was with my recent diagnosis and surgery with Dr. Brady. Dr. Brady was thorough, discussed my hyperparathyroidism with me in detail and told me exactly what to expect. Surgery was about a week later. It was quick and everything went just as she predicted. Recovery was quick and uneventful. I have a very small scar that hardly shows after only a couple of weeks. The best part is that I feel so much better. I didn’t realize that my aches and pains and grumpiness weren’t normal for a 68 year old. Amazingly I feel great! What a pleasant medical experience! My search for a diagnosis and cure for my parathyroid disease has been a long and frustrating one. After visiting with four doctors, three of them specialists, I am convinced that many doctors are not familiar with the symptoms of high calcium (which almost always indicates parathyroid disease ) and do not know how to treat this terrible disease. One ENT doctor suggested that I go to a gastroenterologist for my heartburn and indigestion, not recognizing these as high calcium symptoms! He said that I could not have parathyroid disease, also know as hyperparathyroidism, because one reading of my PTH (parathyroid hormone) was 41. A reading a few weeks later was 80, well in the range for surgery. He also said that he did not mention a tumor on my parathyroid gland because he thought the mention of that word would scare me. In fact, almost all parathyroid tumors are noncancerous! Another Doctor of Internal Medicine said that my symptoms of severe fatigue, lack of concentration, recurrent headaches, and feeling “bad all over” were not symptoms of high calcium. However, all research material point to these problems, along with very high and very low blood pressures, as definite signs of parathyroid disease. She commented that if I indeed had a tumor in my parathyroid gland that it might be able to be shrunk! I do not believe that this option is ever recommended. This doctor also prescribed large doses of vitamin D3. She said that would make my distressing symptoms go away and would lower my blood calcium. Well- informed surgeons know that this can be a dangerous suggestion causing blood calcium to go up! 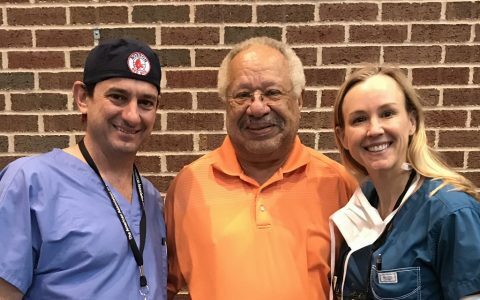 When I finally found Dr. Bridget Brady and Dr. John Sabra, I knew my search was over. Their expert knowledge of parathyroid disease was evident during my first visit with them. There was no hesitation in answering questions about this disease. My first meeting involved a sonogram that revealed some information for a diagnosis. Blood work also showed that my PTH had increased. After two more tests, my out-patient surgery was scheduled and successfully performed. One troubled parathyroid gland was removed and after a few hours, I was on my way home! The next day I noticed that I was considerably less fatigued, even though I had just undergone surgery. Also, my concentration was improved. The surgery was a month ago and I am so pleased with the outcome. I am feeling so much better now, have so much more energy, and are almost thoroughly cured of all symptoms that I had been experiencing. I am very grateful to Dr. Brady and Dr. Sabra ! I am very satisfied with my recent parathyroid surgery. After reading all I could about the surgery on line, it is important to find a surgeon that knows what they are doing. I feel Austin Thyroid Surgeons, Dr. Brady, was that surgeon! I have done very well, recovered quickly and looking forward to further health improvement. I highly recommend Dr. Brady and Austin Thyroid Surgeons. Thank you. After numerous consultations about my thyroid issues with both Dr. Brady and Dr. Sabra, I decided to take their advice and have a thyroidectomy. I dreaded the recovery period but I worried in vain because my recovery period was the best I’ve had for any previous surgery. Both Dr. Brady and Dr. Sabra were involved in the process and very thankful for their expertise in handling my situation. Dr. Brady and Dr. Sabra are excellent surgeons, very professional, great bedside manner and take their time explaining all options. I would highly recommend both doctors to anyone with thyroid issues. I was diagnosed with thyroid cancer and my endocrinologist referred me to Dr. Brady. Dr. Brady explained the entire process of the full thyroidectomy and all of the possibilities. I was able to have my surgery the same week as meeting with Dr. Brady. I am very thankful, because Dr. Brady and Dr. Sabra took excellent care of me. Before the surgery, Dr. Sabra came to speak to me which I really appreciated and put me at ease. The surgery went flawlessly. Dr. Brady and Dr. Sabra are very passionate about what they do and are truly there to help. I knew I was in very skilled hands. My experiences were all very positive with the entire office staff, especially Laura she is very kind and helpful. Like so many, my thyroid journey has been one with many trials. After more than 10 years of mismanaged treatment, I was fortunate to find Dr. Brady. When I was informed last year I would require parathyroid surgery and a thyroidectomy, I knew I needed to find a surgeon who was not going to give me the same lackadaisical treatment I had received in the past, and frankly, got me to this point. After many days scouring the internet, I found her. Top of her field. Major league experience…and fantastic patient reviews. Our first meeting was easy. She was so down to earth. Empathetic. She answered all my questions. I had found my surgeon. What a relief. I usually would never say having a procedure like mine was easy, but, it was. I was totally comfortable and confident in my doctor. The surgery went off with out a hitch. Minimal discomfort. Matter of fact, I was released from hospital the day after surgery. It has been only a week and I feel pretty darn good. The incision site looks great. I would highly recommend Dr Brady. And, also St David’s Surgery Center, Austin, for the stellar treatment I received. Thank you Doctor Brady. I am your number one fan. Dr Brady you are an EXCELLENT surgeon!!! From diagnosis through surgery & follow up. You made me feel like a million dollars. You explain everything in detail that was to happen & you were right there. Fantastic bedside matters. I really can’t thank you enough for all that you did for me. Again thank you for being Dr Brady so much patience and expertise. Dr Brady is amazing. We came into her office scared to death after a scan was pointing to cancer in my husband’s throat. Dr Brady’s bedside manner was incredible. She immediately calmed us down and had us smiling. She was matter of fact but also comforting. She also spent additional time discussing possible diagnosis and next steps. Had recommended Dr’s to work with on hand and we could feel immediately how much she cares. I have dealt with my share of Dr’s and she is TOPS!! I highly recommend Dr Brady! I want to express my sincere gratitude and appreciation to Dr. Bridget Brady, a champion in her field of expertise. For the last few years, I could not figure out what on earth was causing me to be so tired and moody. I also had achy joints and bones. After checking and comparing my past blood work records, I discovered that I had too much calcium in my blood. Following hours of my own research, it was a slam dunk that clearly I had a tumor on one of my parathyroid glands. I had all the symptoms. After searching for the best endocrine surgeon in Austin, I discovered Dr. Brady and set an appointment with her. She performed an ultrasound exam in her office and it indicated that I definitely had a tumor. A date was the scheduled for surgery. I must say that Dr. Brady’s ” bedside manner” was warm and friendly, giving me a feeling of trust and confidence in her abilities. She successfully removed the walnut-size tumor, which she said was one of the largest she has extracted to date. Within a few days after surgery, I felt better than I had in many years, and I give credit for that to Dr. Brady, who is definitely a knowledgeable and skilled surgeon. I give a myriad of thanks to this wonderful doctor! There are only a handful of people who have truly found their calling, and Dr. Brady is one of the chosen few. She is an excellent doctor, and I recommend her to anyone needing a surgeon for issues of the thyroid or parathyroid. I have had problems with my thyroid most of my life and had a partial thyroidectomy seventeen years ago at the age of twenty. When I realized I needed surgery again, I wanted to make sure I found an experienced surgeon. I live in a somewhat remote part of Texas, and I did not feel 100% confident with my local options. My research led to Dr. Brady and a visit to Austin. After my initial consultation, I knew she was the person I wanted to complete my operation and took comfort in knowing this was her specialty. When it came time for surgery, I was blown away with the level of care I received as well as the personal follow up by Dr. Brady during my recovery. It has been about six weeks since my procedure, and I can honestly say I feel better now than I have in several years. Thank you Dr. Brady. You’re definitely worth the road trips to Austin! You are a wonderfully fantastic doctor! From diagnosis, through surgery and the follow up, you made my wife Elizabeth and I feel very calm and at ease with everything that was happening. We can’t begin to thank you enough for your patience and expertise. We hope you accept this bottle of wine as a small token of our appreciation. Dr. Brady is the most phenomenal thyroid surgeon you will ever find! I came into Dr. Brady’s care when I decided on the surgical option for my Graves Disease. As a recently retired registered nurse I researched many surgeons in the Austin area. After doing my due diligence, reading her credentials, I decided to see Dr. Brady. An appointment to see Dr. Brady was readily obtained. From the moment she entered the exam room, I knew she was the only choice I needed. She is very professional, is warm and compassionate, and maintains a steady eye contact the entire time she speaks to you. Though I had researched much information, I still had many questions and she patiently answered them all and provided additional information which reinforced my decision for the surgical option. She has a bedside manner that is very comforting and reassuring and will put even the most apprehensive patient at ease. There was never any rushing through the visit. When I left there, I had my answers and was very comfortable. On the day of surgery Dr. Brady came to visit in Pre-op and her bedside manner was evident. After the surgery Dr. Brady spoke to my husband and daughter and answered their questions as well. Dr. Brady’s skills are outstanding! I can barely see my scar and my surgery was only two months ago! I would highly recommend Dr. Brady as I feel she is an exceptional surgeon and has a very professional and personal bedside manner necessary in making a choice for a surgeon! Thank you for taking care of our daughter. You truly are a blessing to our family! Dr. Brady operated on me and I am so pleased I chose her. I cannot see my scar and I always felt I was in the best hands throughout the process. Highly recommend if you are searching for a thyroid surgeon with experience, expertise and a fantastic bedside manner. I worked with Dr. Brady for several years in the operating room. She is a wonderful surgeon and an expert in Thyroid/Parathyroid surgery. Thank you for the opportunity to shadow you during your time in the office and during surgery. I am so grateful for your patience and the time you gave expanding my knowledge of general surgery and your expertise in disorders of the thyroid. I enjoyed learning from you — and your patients — and admire your ability to educate your patients with a comforting bedside manner. I am still in awe of the parathyroidectomy and truly admire the controlled, calm nature you maintain in the OR as well as in the office. It has been an honor to learn from you and I thank you for sharing stories of your education and experience. I am forever thankful for your support and time as a source of recommendation for my application to PA school! Thank you for this unforgettable experience and for being an inspiring woman! Just a small gift of thanks for not only the comfort you gave me, but to share with me what a beautiful woman you truly are. Your caring, sincerity, loving nature made a most difficult situation bearable. I first saw Dr Brady to help manage a multi-nodular goiter. After reviewing my labs, Dr Brady told me that she thought I also had parathyroid disease. Four weeks ago I had a Parathyroidectomy. I feel great and my blood work is now normal. She made the incision in the fold of my neck so the scar will be barely visible by the time it’s completely healed. If you go to her website, you will see comment after comment of how skilled a surgeon Dr Brady is. She’s extremely knowledgeable about parathyroid disease and thyroid disorders. Dr Brady is kind, personable and compassionate and just a wonderful doctor. I can’t thank her enough. Thanks a lot for your time … I can’t tell you how much loved visiting you as she thanks you are the God that saved my life. Thank you from the bottom of our hearts for all that you have done. Your level of professionalism, attention to detail, and kind bedside manner are an example for all to follow. We are so happy to have met you, thank you again! I want to thank you again for solving my parathyroid issue! I really do feel like a new person! I also want you to know how much I appreciate your understanding, concerning my “self-pay-patient” status! Your generosity did not go unnoticed! Have a blessed day! Thank you for the extra care you provided during my recovery. I was impressed by your compassion and accessibility. Both qualities which normally don’t go hand in hand with most surgeons. God bless you and your family. Dr. Brady, is a fantastic surgeon! If I could give her 10 stars, I would. Very Professional and knows her stuff. The day I met with Dr. Brady she did an ultrasound, found nodules and did a biopsies, a few days later the results came back, cancer was found. 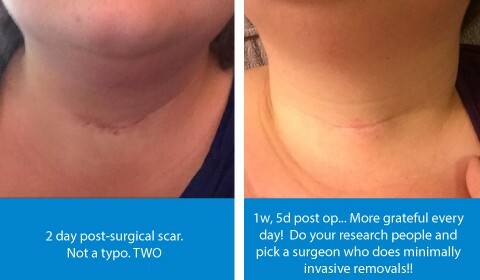 She set up and preformed my thyroidectomy, so far a week after surgery and I can barely see the scar. The whole time she has been in contact with me checking to see how I’m doing very awesome, I recommend her to anyone having thyroid issues. This is one of those times where I wish Yelp had more stars because Dr. Brady was phenomenal. My endocrinologist referred me to Dr. Brady after it was decided that I needed a thyroidectomy. I was able to get into Dr. Brady relatively quickly, but the surgery wasn’t for a full month. I absolutely didn’t want to wait that long and actually considered getting another surgeon that could get me in sooner. Thank God I didn’t. In the month leading up to my surgery, I did a bunch of research. Mainly for the vanity side of things…. How long was I going to look like frankenstein? Was I doomed to a summer of scarves and a lifetime of makeup/coverup? I joined facebook groups where people were posting pictures and talking about how horrible it was. Awesome. Can’t wait. ARE YOU KIDDING ME WITH THIS SCAR DR. BRADY?! The picture I’ve attached is 2 days post op. TWO. Sure, I have a smidgen of foundation on it… but go ahead and google some of the other scars and you’ll see how absolutely phenomenal this one is. Also, mind you, this picture was taken in a restaurant… 2 days after a full thyroidectomy. That’s how good I felt. I had no idea going into her practice that she was known for “minimally invasive thyroid removal”, but God bless the endocrinologist who sent me to her because I am very very very happy with the results. To top it off, she has a great bedside manner, she is super personable, followed up with me many times, was quick to answer any post-surgical questions we had, and well… she has great hair. (Okay, that’s totally irrelevant, but it’s true.) Seriously, there is nothing about her and this entire experience I don’t love. Well, other than the lab results, but that’s a discussion for another time. She is a very skilled and experienced Dr. There aren’t enough words to describe the type of Dr. she is. I would highly recommend her to anyone. I was referred to Dr. Brady because the calcium level in my blood was elevated. As she suspected, I had parathyroid disease. She asked if I had some of the symptoms of it, everything from depression to insomnia. I had most of the things she listed. I was supposed to start on depression medication that very day. She explained how parathyroid disease may cause some of these issues so I decided to wait on the depression medication to see if the surgery would help. Before surgery my insomnia was so extreme that if I didn’t take sleep medication I was only getting about three hours of sleep each night. Within 2 days of the surgery I started sleeping all night and I don’t need depression medication. Dr. Brady and her staff are very warm and kind. They made me feel at ease during what could have been a very stressful time. When I needed surgery for a serious parathyroid condition, several surgeons were suggested, but my endocrinologist insisted, “You’re going to Bridget Brady. Period.” What a great recommendation that was. During my parathyroid surgery, Dr. Brady noticed that something didn’t look right with a portion of my thyroid gland, and she insisted that it be tested by the pathologist. They found cancer, in the early stages. She had me back on the table in 7 days, and I have had a perfect recovery. She used the same incision, which is now completely invisible to view. I give Dr. Brady my highest praise and recommendation. She knows what she’s doing, and does it extremely well. I heard the same stories from her other patients in the waiting room during my routine follow–up. 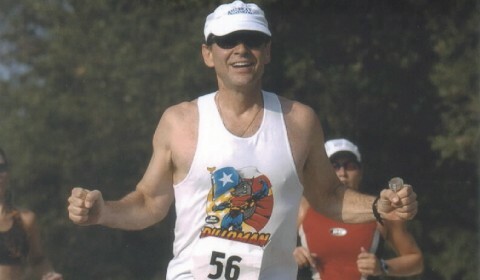 I was back at work in 3 days, and did 2 triathlons within 3 months of the surgery. Thank you for taking such good care of me, Dr. Brady. Dr. Brady performed a parathyroidectomy on me February, 13, 2015. She was absolutely wonderful. Professional, and kind, with a great bedside manner, yet also a very skilled surgeon. I have the tiniest of scars and immediately felt better after my surgery. I would highly recommend Dr. Brady to anyone requiring parathyroid or thyroid surgery. She really is the BEST!! Dr. Brady is simply one of the best surgeons in the business. She performed a parathyroidectomy on me and was supportive and caring the entire time. She reduced my anxiety level significantly by giving me lots of information and choices. I have never had a physician call me after surgery to follow up and see if I was doing well, but Dr. Brady did. I was very impressed with her professionalism and how much she cares. If you ever need a thyroid or general surgeon she is top notch and I recommend her without hesitation. I had papillary thyroid cancer that extended to both lobes of the gland, but fortunately had not spread to any lymph nodes. 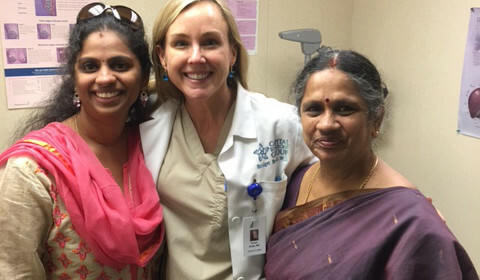 Dr. Brady performed the surgical removal along with a team of others at St. David’s South Austin Medical Center. She was very generous with her time both before and afterward and showed a willingness to adjust her schedule as needed to make sure it was done expediently. I strongly recommend her to other individuals requiring thyroid/parathyroid surgery. When I was diagnosed with large thyroid nodules and hyperparathyroidism, Dr. Brady performed a thyroidectomy and parathyroidectomy on me. It is hard to see the scar she made it so fine line and small. I am a retired surgical nurse and believe she has the unique combination of a wonderful bedside manner and excellent technique. She followed me with my endocrinolgist postoperatively, too. I would recommend her without any reservation! I can’t say enough about how thankful I am for Dr. Brady! She’s simply the best in business. My sister was recently diagnosed with hashimotos disease shortly after several nodules were discovered on her thyroid. Dr. Brady and her staff worked quickly to schedule a surgery to remove both sides. The post-surgery results were outstanding. It’s been about three weeks and the scar on my sister’s neck is hardly noticeable—almost as if it didn’t even happen. Better yet, my sister feels immensely better now, and her overall quality of life has improved ten fold. Dr. Brady was professional and warm every time we spoke. Her staff at Seton Main was also also fantastic and with us every step of the way. She has my full and utmost endorsement. Thank you, Dr. Brady! High five to Dr. Brady. From the moment she walked into the room on my first visit to see her I knew I liked her a lot. She had a very warm personality with compassion and took the time to explain to me what I needed to have done to include illustrations. On my day of thyroid surgery she met with me again and spent time answering my long list of concerns. She called me the day after surgery to see how I was doing and then unfortunately she called again on day 3 to inform me that I needed to have the other thyroid lobe removed because they found cancer. This time I was very anxious and the last I remember in the operating room was her standing next to me holding my hand. Even after two cuts in the same spot her incision is still invisible. I healed quickly which I contribute to her excellence. Great bedside manner, so kind, and was prompt in responding to my many texts of worries. Dr. Brady is so down to earth, she’s exceptional and I am very blessed to have had her. I tell everybody about my awesome surgeon! Dr. Brady performed my thyroid operation. She removed both sides of my thyroid after several nodules were discovered about a month prior. Before the surgery, she made me feel at ease by taking time to answer all of my questions. After the surgery, I healed at a remarkable pace, which I absolutely attribute to her talent as a surgeon. I now have a scar along a natural neck line and it’s barely noticeable—I’m thankful she was so considerate! Throughout the process she was compassionate, genial, and tender, as was her staff at the hospital. I feel very lucky to have had her; she took extra time to give me the best quality of care possible. I would absolutely recommend her. There are no words to express my gratitude to Dr Brady. My surgery was performed 2 weeks after my initial consultation, I was extremely worried about my situation but she took care of me. She is not only a professional but an angel, she always had the time to listen and answer all my questions and concerns. Dr Brady, thank you so very much for everything you did for me. I just want thank you for being so helpful and willing to work me in on such short notice due to my health insurance coming close to term. I greatly appreciate you working me in for my consultation during your busy schedule and handling my procedure with quickness in time. You were so helpful and kind. Your personality and willingness to help put me at ease during that stressful time. My husband and I cannot thank you enough for all you did for me. We will always appreciate you. We need more doctors like you. Thank you again. Dr. Brady performed surgery for my daughter to remove one of her parathyroid glands. Our entire family was very impressed with her professionalism and kindness when dealing with our 16 year old. What we were even more pleased with was the prompt follow up and responsiveness to any concerns we had. Dr. Brady made a stressful situation as comfortable as possible. Thank you Dr. Brady. Thank you for taking care of me! I am grateful for you, you are truly a blessing! Your bedside manners should be a model for all doctors! We can’t thank Dr. Brady enough for taking care of our 13 year old son. 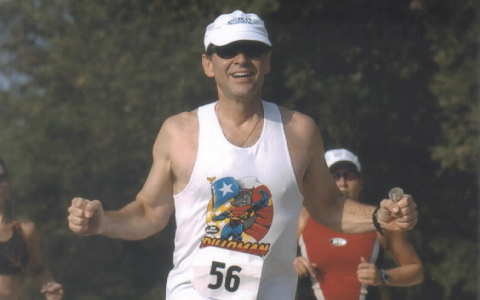 After he was diagnosed with Primary Hyperparathyroidism, we knew surgery was a must. Dr. Brady made sure to answer all of our questions and also made sure that we knew what to expect before, during and after surgery. Dr. Brady followed up with us personally on multiple occasions following the surgery to check on his status and how he was doing. 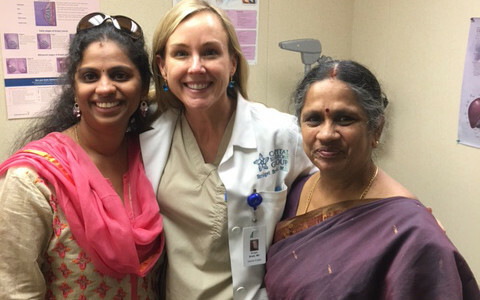 She is by far the most personable and accessible surgeon that we have ever encountered. If you or anyone in your family has an issue that involves of one her areas of specialization, you owe it to yourself to schedule an appointment to meet with Dr. Brady. I was referred to Dr. Brady by my endocrinologist for a large benign goiter that had passed “the point of no return.” Following her examination Dr. Brady agreed that surgery was necessary and, after explaining the surgical options carefully, made me very comfortable with our plans. She did a beautiful operation on my neck, removing a large goiter through a minimal incision, and following my post-op recovery very carefully. On my return home she continued to monitor me with care and concern. As a physician I have had a 40 year career of association with surgeons with varying strengths, which provides me a strong basis for comparison. Many surgeons have the knowledge and technical skills necessary for this work; a very much smaller number combine that with a love for the patient and a strong level of compassion and commitment apparent during the pre-op and post-op recovery phases. I am happy to say that Dr. Brady has all of these and more. I recommend her highly and without reservation. She did my mastectomy, lymph node dissection, and port placement after I was diagnosed with an early but aggressive form of breast cancer. I had a breast reconstruction at the same time and she coordinated the whole surgery with the other team members. She was also a source of emotional support during a very trying time for me. I am happy to say that I am now a breast cancer survivor for over 10 years thanks to Dr. Brady! Some time after, that I was diagnosed with a thyroid nodules and hyperparathyroidism and she performed a thyroidectomy and parathyroidectomy. You can’t even see the scar it was so tiny and hidden in a fine line. She took a natural interest in following me with my endocrinologist during my treatment postoperatively as well, which you don’t see with every surgeon. As a retired surgical nurse, I can confidently say she has the unique combination of a wonderful bedside manner and excellent technique. Dr. Brady was referred to me by 2 different surgeons, my gynecologist and a plastic surgeon. I would recommend her without any reservations! Dr. Brady is an answered prayer! 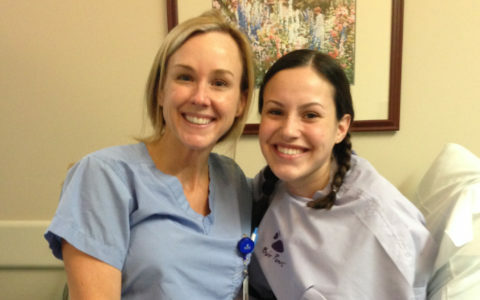 Dr. Brady’s service, care and bedside manner are exceptional! She is truly the nicest doctor I have ever encountered. She took the time to make sure I had all my questions answered before and after surgery. She made me feel like I was her only patient and the most important person to her. She definitely gets 5 gold stars from me and my family! I want you to know how much it meant to me that you were the surgeon who took care of my dad-it was reassuring and very much appreciated by both me and him. I can’t say enough about how well Dr. Brady took care of me before, during and after my thyroid surgery. I felt very confident going into the surgery knowing that she had much experience performing thyroid surgeries of this type, and that she understood exactly what needed to be done, and would do her best, which she did, to minimize the size and visibility of the incision and scar area. She was very kind and attentive just before the operation and then afterwards as well, with her multiple follow up phone calls to our home. My wife and I feel very fortunate that we were referred to Dr. Brady. We could not recommend her highly enough to others who need any kind of thyroid procedure. I only have one thyroid, but if I had another I’d let her take it out no questions asked. I wanted to write to you a letter to let you know how I am doing since my adrenal surgery. It’s been several weeks, and I am doing very well, and I am no longer taking any medications for hypertension. I am feeling great, and I seem to have no ill effects. Thank you for being such a great doctor, I really felt like you cared about me. If you were not a surgeon, I would ask you to be my regular physician. If I ever need surgery again, you will be my first choice! In 2008 I had a blood test which showed high calcium levels. An endocrinologist ordered a further blood test which revealed elevated parathyroid levels. A bone density scan confirmed bone loss. The diagnosis was hyper-parathyroidism. I had a scan which suggested an enlarged upper right parathyroid. In January 2009 I had an operation to remove the enlarged parathyroid. It was supposed to be a 25 minute operation, however, the surgeon did see any problem with the upper right parathyroid. He checked the other three parathyroids before removing the one he felt most likely to be the cause of the problem. Unfortunately, the surgery did not resolve the problem, and a further two scans showed no identifiable enlarged parathyroid. Over the next 4 years I watched the calcium pour out of my body. In 2013 I approached my doctor to make another attempt at resolving my problem but I made it clear that I was not going to go under the knife until I was completely satisfied that we had identified the source. My doctor was very confident in referring me to Dr Brady and my first consultation validated his confidence. Dr Brady immediately identified that the biopsy of the two lower parathyroid showed only fat tissue. She suggested that I have another scan that included my chest cavity as a significant proportion of parathyroids are within that area. Within two months the operation was complete, my parathyroid hormone levels immediately dropped to normal (from over 200 to under 20!) and despite the post operation pain I could feel the positive change in my body chemistry within minutes of awakening from the anesthetic. I am very grateful that I was put in touch with Dr Brady and would recommend her for your parathyroid surgery needs without hesitation. Thanks to her I am finally able to move on with my life and rebuild my bone density. I highly recommend Dr. Bridget Brady as the surgeon to consult and use. I found Dr. Brady to be a dynamic, creative, and angelic surgeon. As a critical care nurse for many years, I can tell you that Dr. Brady is a rare and exceptional surgeon. She not only has the intellect and surgical talent, but also profound compassion. Dr. Brady is the surgeon I refer to family, friends, neighbors, and coworkers. I personally experienced Dr. Brady’s expertise when I had a life threatening surgery. Another surgeon, who specialized in the type of surgery needed, refused to perform this surgery because it was too complex. 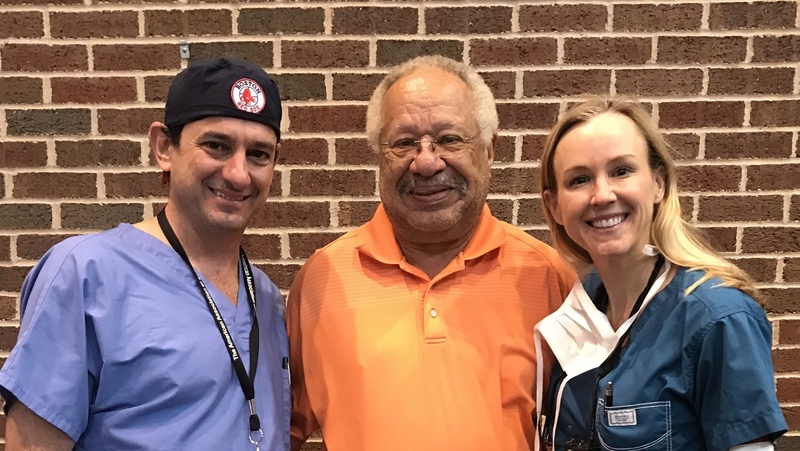 Dr. Brady not only performed this very difficult surgery, but went above and beyond her normal surgical duties to ensure an incredibly successful outcome. Dr. Brady treated me with respect and dignity. We are very fortunate to have Dr. Brady in the Austin area.